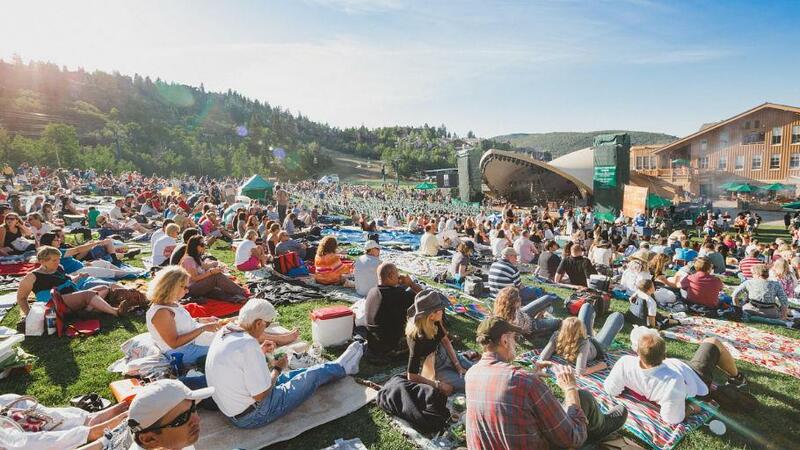 When world-renowned snow gives way to high country warmth, Park City transforms into a green-hued playground. 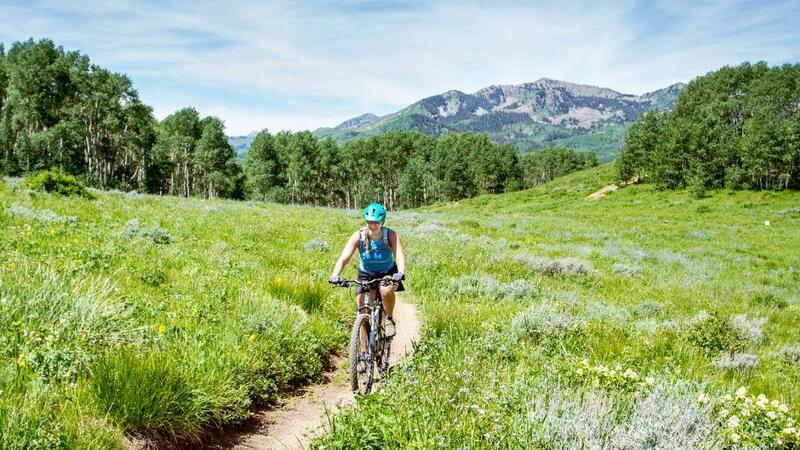 For starters, 400 miles of hiking and biking trails weave through aspens groves, conifers, and alpine meadows, filling grateful lungs with sweet-scented sage and evergreen. 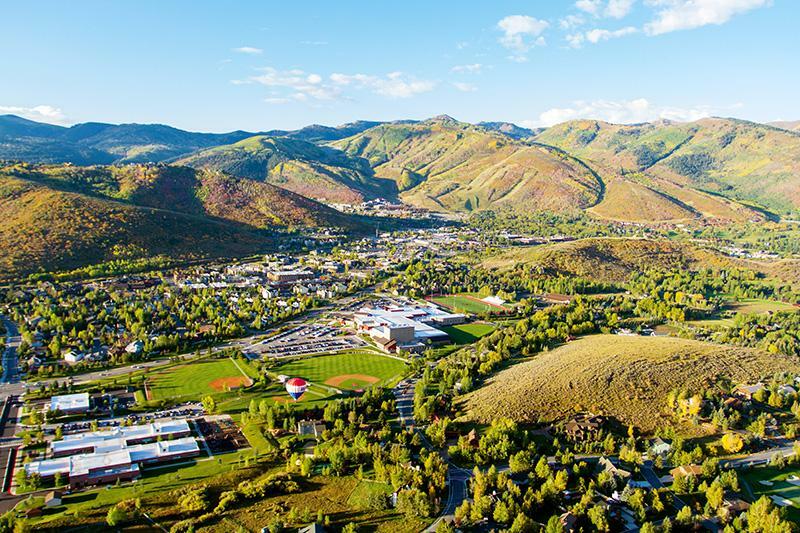 Preserving that green scene for both moose and mountain biker has become a local priority, making Park City a place where eco meets action – both in terms of extraordinary recreational opportunities and innovative environmental stewardship. Think e-bikes, open space conservation, and net-zero carbon emission goals. As a result, tapping into the local green scene has never been easier or more fun. Much of Park City is walkable and bike-able thanks to designated lanes, paths, trails and underpasses. Getting around town without leg-burning effort is also possible. Share one of the city’s e-bikes (available for pick up and drop off at locations throughout town, from Kimball Junction to Old Town). Or take the bus. The convenient – and free – transit system has been whisking tourists and locals around town for decades. In addition to biodiesel buses, the city recently stepped up eco-efforts by introducing electric buses to the fleet. The full skinny on walkability/bike-ability (including maps), bike share and bus information is available at ParkCity.org. And while you’re wandering or cruising, soak in the public art scene at PCscArts.org or stroll the area’s fine art galleries. Connect with nature or discover a heart-pumping workout by hitting the trails. Thrilling – as well as Zen-like – adventure can be found on an award-winning trail system which caters to all levels of hikers, mountain bikers and equestrians. Beginner/casual hikers and bikers often opt for the relatively flat paved trails, such as the Rail Trail or McLeod Creek, and work up to the undulating, dusty single track of Round Valley. 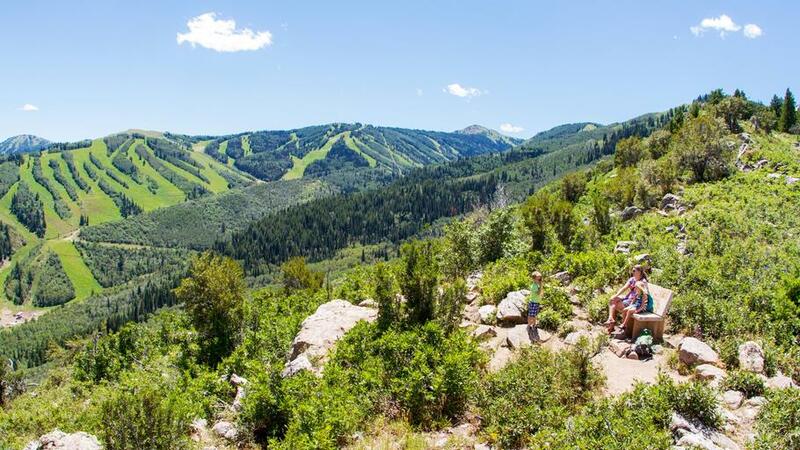 For a bit more of an adrenaline rush, the mountainous climbs and descents throughout the greater Park City area (particularly on the slopes of the ski resorts) include wicked views, gladed and wild flower-strewn escapes as well as technically challenging terrain. Cool off and get a little exercise at neighboring Jordanelle State Park via kayak, swim or stand-up paddleboard. And for the peace-seeking angler, spectacular fly fishing on the nearby Provo and Weber rivers means plenty of solitude for casting a line – and even encountering the occasional moose or Red-tailed hawk. Zero waste and zany (in the best sense of the term), Park Silly Sunday Market is an open-air, festival-like gathering that packs lower Main Street every Sunday from early June to late September with an ever-evolving selection of artisans, entertainment and eats – from veggie stands and beer gardens to opera singers and country bands. The goods are hand-crafted and sustainable, everything from cheese boards made from recycled liquor bottles to whacky hats. For another sampling of close-to-homegrown eats, check out the weekly Farmers’ Market (Wednesday at the Silver King parking lot of Park City Resort); and keep an eye out for beside-the-road farm stands, selling everything from sweet peaches to pine nuts. Open Space preservation has led to the protection of several swaths of wild places – and the habitats, view corridors and watersheds they encompass. One of the newest members of the open space gang is Bonanza Flat, 1,350 acres straddling Guardsman Pass, where gorgeous alpine lakes, meadows and aspen groves are accessible via hiking trails. Closer to Interstate 80, Swaner Preserve and EcoCenter is a unique 1,200-acre, wetland-filled preserve and LEED Platinum-certified building, which houses hands-on exhibits and is itself an example of eco-construction. This base camp for all manner of environmental learning and activity offers everything from guided hikes and talks to summer camps and an indoor, ecosystem-themed climbing wall. Be sure to look for elk and Sandhill cranes, whether biking and hiking north of the interstate or peering out over the grassy wetlands from the eco-center’s observation deck. Of note: The rules on bike access, dog walking and other motorized and non-motorized activities vary at different open space locations. Be sure to take note of signage regarding regulations. Utah is once again an Olympic hopeful, promising to throw its hat in the ring for another Games – most likely in 2030. This time around, there’s a sustainable angle to the bid, which makes a visit to the 400-acre, action-packed, Utah Olympic Park - site of the 2002 bobsled, luge, skeleton and ski jumping events and current training ground for the elite and novice athletes – the perfect homage to sport and Mother Nature. Warm weather happenings range from free, self-guided hiking and museum exhibits to fee-based attractions, such as the zip line, bobsled or Saturday freestyle show (where aerialists perform jaw-dropping tricks as they launch off jumps into the newly revamped splash pool). So long, carbon. Hello, fun. 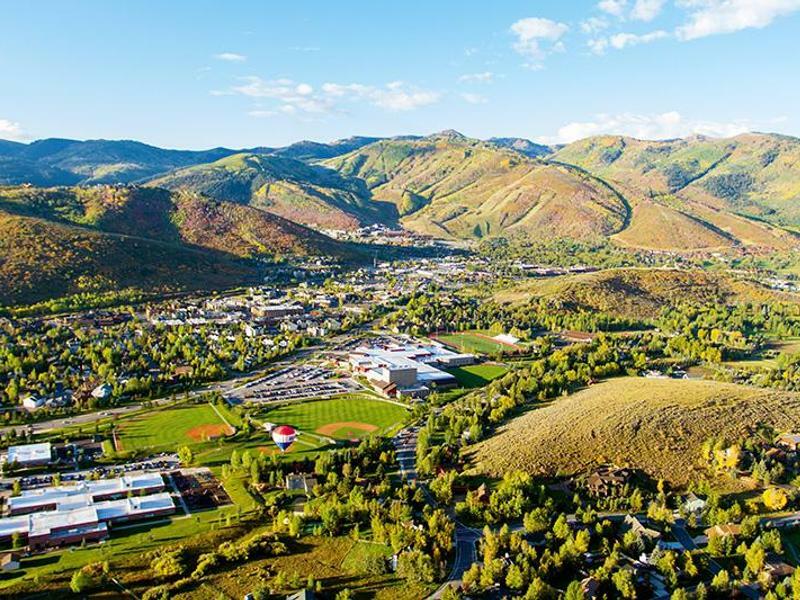 As Park City moves toward its net zero carbon goal by 2022, the innovative city- and community-led initiatives for protecting the green scene continue. For more eco-infused fun (and serious, earth-friendly information), check out the happenings at Summit Land Conservancy, Recycle Utah and Utah Open Lands, the three local non-profits consistently rallying around the green scene… Hops hunting, anyone?